Welcome to the Club! myView Literacy Book Club sets aside time each week for students to talk about books and share viewpoints, focusing on different elements from week to week. Recommended titles align with the Unit theme, essential question, and spotlight genre. Students also can self-select text. Book Club is a place for students to feel valued and respected by peers. It’s a great way to engage students, help them share ideas, and build a community of readers. Teachers can assign the unit trade book or allow clubs to choose their own selection. Each week students meet to talk about the book they’re reading. 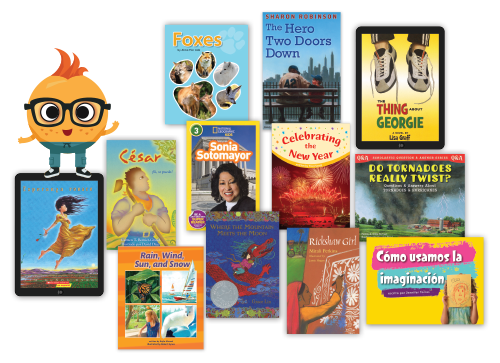 Book Club helps you connect readers, build students’ communication skills, and develop social-emotional learning. 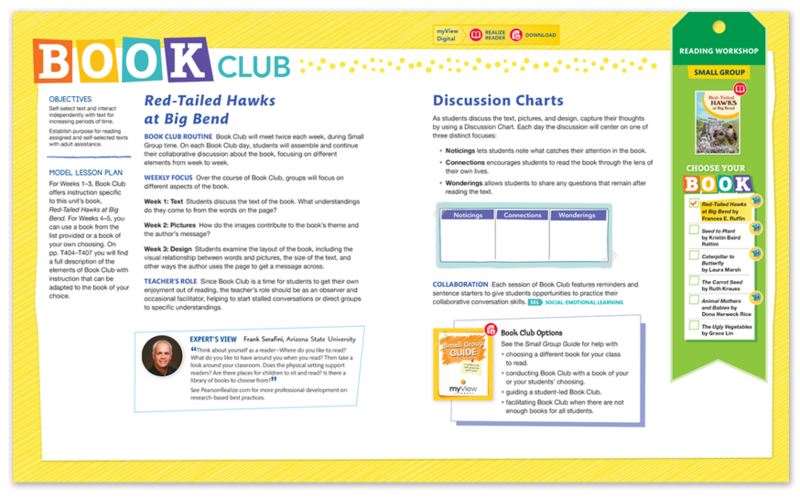 How do you run successful book clubs in your class? myView Literacy offers specific instruction for the unit’s trade book as well as instruction that can be adapted to books students’ choose. Routines, conversation starters, and discussion chart ideas are included.